Facebook ads are overwhelming to many advertisers — especially new ones — and Facebook doesn’t do the greatest job of making this easier. While almost all of the definitions below come from the Facebook Help Center, they aren’t all from the same place. The search does not help, so anyone needing help could easily just give up. So I decided to put this together. Again, most of the definitions are not my own, though I often edited and reworded as necessary. This is a good one to bookmark! Or maybe you know someone who needs help with Facebook ads. Pass this on! Actions: This data includes all actions taken by people within 24 hours after viewing an ad or sponsored story in your campaign, or within 28 days after clicking on it. You’ll only see this data if you’re promoting a Page, event or app. Actions include Page likes, event RSVPs, post likes and app installs. Ad Auction: For each ad impression, Facebook’s ad auction system selects the best ads to run based on the ads’ maximum bids and ad performance. 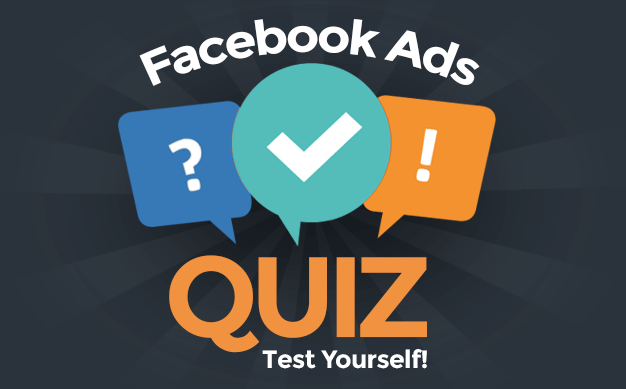 All Facebook ads compete against each other in this process, and the ads that the system determines are most likely to be successful will be shown. Advertising Guidelines: Facebook’s Advertising Guidelines provide information about what kinds of ad content and practices are allowed or disallowed on the site. Auto Bid: When auto bid is in effect, your bid is automatically optimized to help you reach your advertising goal. Such a bid cannot be edited. Average CPC: Average Cost Per Click is the amount you’re paying on average for each click on your ad. This is calculated as total clicks on your ad over cost for that ad during the same time period. Average CPM: Average cost per thousand impressions is the amount you’re paying on average for every thousand impressions of your ad. This is calculated as the number of thousands of times your ad is displayed over the cost for that ad during the same time period. Bid (or Max Bid): Your bid is the maximum amount you’ve indicated you’re willing to pay per click (if bid on a CPC basis) or thousand impressions (if bid on a CPM basis) on your Facebook Ads. Broad Categories: When creating an ad, you can use broad category targeting to reach groups of people who share similar interests and traits, such as activities related to “Food & Dining.” This information is pulled from what people have included in their personal timelines and will help you reach your ideal audience. Budget: The maximum amount you’re willing to spend on each campaign, per day or in the lifetime of the campaign. Campaign: A grouping of ads that you create. All of the ads in a campaign share the same daily or lifetime budget as well as schedule, but the individual ads have separate bids and targeting. Campaign Reach: The number of individual people who saw sponsored stories or ads in a specified campaign. This is different from impressions, which includes people seeing them multiple times. Clicks: Clicks are counted each time a user clicks through your ad to your landing page. If you’re advertising a Facebook Page or Event, a click is also counted when a user “likes” your Page or Place or RSVPs to your Event within the ad. Connections: Connections includes the people who liked your Page or Place, RSVPed to your event, installed your app or checked in to your advertised place within 24 hours of viewing or clicking on an ad or Sponsored Story. If your ad links offsite, you won’t see Connections data in your Ads Manager. Conversions: Conversions are the number of times people liked your Page or Place, RSVPed to your event, or installed your app within 28 days of clicking on your ad. CPC: Cost Per Click. If your ads are bid on a CPC basis, you will be charged when users click on your ads and visit your website. CPM: Cost Per Thousand Impressions. If your ads are bid on a CPM basis, you will be charged when users view your ads, regardless of whether or not they click on them. CTR: Click Through Rate (CTR) is the number of clicks your ad receives divided by the number of times your ad is shown on the site (impressions) in the same time period. Custom Audiences: Using email addresses, phone numbers or Facebook user IDs to make the match, you can find the exact people you want to talk to, in custom audiences that are defined by what you already know. To create new custom audiences or edit existing ones, visit Power Editor. Daily Budget: Your daily budget is the amount you’ve indicated you’re willing to spend on a specific campaign per day. Facebook will never charge you more than your daily budget on a given day. Daily Spend Limit: The daily spend limit is the maximum amount that Facebook will allow you to spend in one day. Destination: The destination of your ad is where people will land if they click on it. If you advertise a Page, app or event on Facebook, you’ll also get social buttons on your ad that encourage people to engage with you by liking your Page, installing or using your app, or joining your event. End Date: The date a campaign is scheduled to stop. Campaigns can run continuously or be limited with specific dates. Frequency: Frequency tells you how many times each person saw your ads or Sponsored Stories, on average. Impressions: Counted each time an ad or Sponsored Story is shown to a user, regardless of whether the user clicks or takes any other action on the ad. Mobile App Install Ads: Mobile app install ads help developers reach people on mobile devices. When people click on the ad on the mobile device, they will be directed to the App Store or Google Play to install the app. Objective: When you advertise a Page, app or event, you’ll be asked “What would you like to do?” after you enter your destination. The answer to this question is the goal of your ad and the choices you have depends on what you’re advertising. For Pages you’ll choose between Get More Page Likes, Promote Page Posts and See Advanced Options. For apps you’ll choose between Get More Users, Increase App Engagement and See Advanced Options. For events you’ll choose between Increase attendance and See Advanced Options. You’ll automatically get an ad and a group of sponsored stories that are optimized to help you achieve your goal. 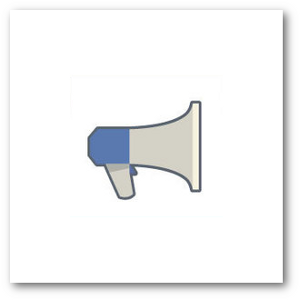 Offer: A Facebook Offer is an official way for brands to run a deal through the Facebook Page publisher tool. Offers are shown in News Feeds of Fans and friends of Fans if supported by Facebook advertising. Offer Claimed Story: A sponsored story that appears in the News Feeds or sidebars of friends of those who have claimed your Facebook Offer. Optimization: Your bid will be optimized to help you to get more page likes given your budget. Optimized CPM: Optimized CPM allows an advertiser to prioritize their marketing goals, and then automatically delivers ads against those goals in the most effective way possible. The system will automatically bid on behalf of the advertiser, while remaining constrained by the campaign budget they define and the values they specify. The dynamic bids allow the system to capture the highest-value impressions for your goals, and you should expect the total ROI on the campaign to exceed that of either a CPC or a traditional CPM campaign. Page Like Story: A sponsored story surfaced to the friends who have liked the Page owned by the advertiser. These ads message the user to let them know that “Friend X” likes this Page, thus encouraging them to do the same. Page Post Ad: The promotion of a post (status update, video, photo share, link share) previously created by a Page. Page Post Sponsored Story: An advertising unit that promotes the interaction (like or comment) of a target user’s friend with the advertiser’s Page post. Power Editor: Power Editor is a Chrome plugin that helps improve advertisers’ efficiency in creating, editing and managing a large number of campaigns and ads. For example, Power Editor allows operations like mass-editing of campaign settings, targeting, bids, budgets, flight dates, and creative elements across ads, campaigns, and even accounts. With Power Editor, you can also monitor ads stats in order to optimize ads and campaigns from within the tool itself. Power Editor also allows advertisers access to features that are unavailable in the Ad Manager, including creation of Custom Audiences, Sponsored Results, mobile device targeting and more. Precise Interests: When creating an ad, you can choose your audience based on what they’ve listed as an interest on their personal timeline. This information is pulled from their interests, activities, education, job titles, Pages they have liked or groups they belong to. Topics marked with # let you target everyone who is also interested in something closely related. For example, #Cooking also reaches people who are interested in “cooking tips.” Topics that are not marked with # will target people who have added only the specific word you have entered to their list of interests. Social %: The percentage of impressions where your ad was shown with the names of viewers’ friends who liked your Page, RSVPed to your event or used your app. Social Clicks: Clicks on ads that were shown with the names of viewers’ friends who liked your Page, RSVPed to your event or used your app. Social Impressions: Impressions that were shown with the names of the viewer’s friends who liked your Page, RSVPed to your event or used your app. Social Reach: People who saw your sponsored stories or ads with social info about people and Pages they’re connected to on Facebook. These connections may have Liked your Page, responded to an event or used your app. If you’re not using sponsored stories or advertising a Page, event or app, you won’t have Social Reach. Sponsored Result: Sponsored results provide you with the ability to buy ads in Facebook search results and help bring more awareness and traffic to your app, Page, or place. Advertisers can target specific Pages, as opposed to key words, so that when users search for those Pages your ad will float to the top of the search results. Sponsored Story: Messages coming from friends about them engaging with your Page, app or event that a business, organization or individual has paid to highlight so that there’s a better chance people see them. Start Date: The date a campaign is eligible to start running. Campaigns can run continuously or be limited with specific dates. Status: Each campaign may be running, paused, completed or deleted. Suggested Bid Range: A range of CPC or CPM bids that are currently winning the auction for the audience you’ve selected. Bidding below the suggested range will make it unlikely for your ad to receive impressions, so it is recommended that you bid within or above the suggested range. Targeting: Choose the location, gender, age, likes and interests, relationship status, workplace and education of your target audience. If you are the admin of a Facebook Page, event or app, you can also target your ad to people who are already connected to you.